A versatile chimney cap can be the best long-term investment you can make for a chimney in Cary. We recommend that every chimney flue is covered with some type of cover, as it can be very beneficial to your chimney’s damper system. The cap keeps debris and pests out of your chimney. These pests often carry disease and smells, and a cap can be the gate that keeps these animals from entering your home. Some of these animals are protected and cannot be removed once they make your chimney their home, by having a cap you can prevent these pests from making your chimney there summer home. By installing a cap you can greatly increase the safety and prevent damage to your chimney. Keep out any undesired animals and other materials from entering your chimney by instilling a chimney cover or cap. Contact us today and our experts in Cary will help you decide what best fits your needs. 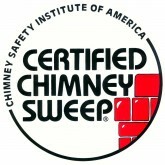 Our Cary chimney experts will make sure they perform a job well done and that all your chimney needs are satisfied. Contact us today to book your next appointment with us!